Some high-ranking officials may be failing to use the city’s biometric time tracking system to record their work hours, suggests a 667-word statement mayor Andre Sayegh issued in response to an ongoing controversy involving his new personnel director, Michele Ralph-Rawls. Sayegh acknowledged his staff has “not consistently” used the city’s TimeTrak, a biometric clock in and clock out system, to record hours worked. He asserts his staff members manually record their time in departmental timesheets that are verified before submission to payroll. Handwritten timesheets leave room for fraud. For example, during the 2011 flood overtime scandal some high-ranking municipal officials were found to have misrepresented work hours on timesheets. Similarly, in 2014 and 2015 fraudulent timesheets were used by three public works supervisors to steal from the city. Supervisors claimed to be working overtime for the city while renovating a warehouse leased by former mayor Jose “Joey” Torres. All three supervisors and Torres were later convicted. Sayegh used a 2015 memorandum issued by former personnel director Abby Levenson to defend his administration’s practice. Levenson in her memorandum directs all nonexempt employees, workers entitled to a minimum wage and overtime for hours beyond 40 per week, to accurately record their hours. Levenson’s memo says nothing about exempt employees, who are not entitled to overtime or minimum wage. Exempt employees, like the business administrator at the time, were tracking their hours using the TimeTrak system. For example, in 2015, the Paterson Times reviewed the work hours of former business administrator Nellie Pou. Her TimeTrak records showed she worked 14 hours on some days. Sayegh appears to lack confidence in his assertion. He prefixes his argument by stating the memo “ostensibly” directed all nonexempt employees to accurately record their hours. Last sentence in the memo states the policy applies to all employees, undermining the mayor’s argument. Sayegh’s defense is also faulty because Ralph-Rawls is a division director not a department director. Some council members took offense at mayor’s defense of a problematic practice that surfaced under his watch. Over the past weeks, there have been murmurs at City Hall some of Sayegh’s department heads have been coming in late, putting in a few hours of work, and departing. “How are we tracking if they are here or not?” asked councilman Flavio Rivera on Monday. It’s difficult for directors to set an example for their underlings without being present, said councilman Luis Velez, a close ally of the mayor. “I and my department heads are on-call 24 hours a day and 7 days per week, and we often work after hours each day and for hours on the weekend to manage the City without earning overtime or other compensatory time. 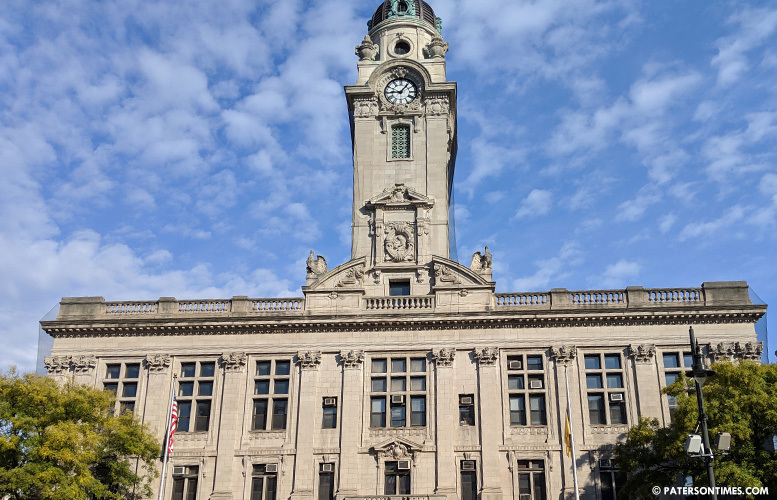 TimeTrak doesn’t and cannot capture that time or hours worked from locations outside of Paterson, which can often be the case,” said Sayegh. Sayegh also rehashed the perennial argument made by municipal administrators that directors are not adequately compensated. “With the below market salaries set by City Ordinance, it’s admirable that some have joined the City and taken substantial pay cuts while others have stayed and continue to perform despite the below market wages,” argued Sayegh. The lowest paid director makes $92,000 in the city, more than twice the income of an average Paterson family. Ralph-Rawls has been asked by Sayegh to draft a new policy to address the situation. Ironically, it was Ralph-Rawls’ failure to use the TimeTrak system and properly record her hours that attracted attention to the questionable practice. “They need to clearly define the process,” said councilwoman Lilisa Mimms. She said a policy and process needs to be immediately put in place to address the situation. That how your employer know when you are present. All who are offended just start punching in.